I have a secret talent. 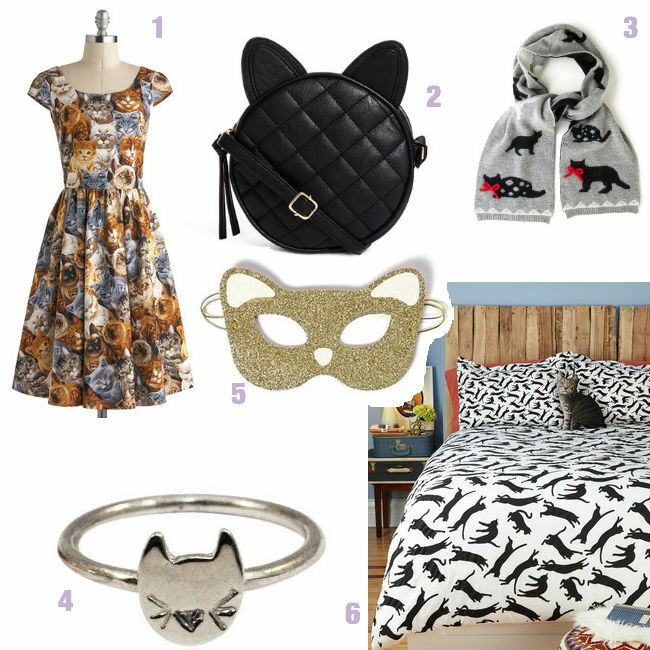 i have this amazing uncanny ability to find really cute, adorable cat related items. This also stretches (at times) to raccoon items (if I'm really lucky). It's not always as easy as it seems, sometimes I have to search for hours to find something cute and other times I attract items like a magnet, drawing them to me like a moth to a flame. This talent brings some amazing pieces into my life but it can also be a burden. I mean I love cats, but I don't want to end up being that crazy cat lady with a house full of cat ornaments and pillows and rugs and cups and mugs - well you get my point. To help alleviate some of my desire to own all the crazy cat items that come into my life I wanted to start sharing some of the amazing things I find. The weirdest part about this is that I don't even have a cat. I want one and I think it should hopefully happen sometime in the new year, so until then I fill that space with all things cat related. Maybe my cat obsession will tame down once I have my own cat, maybe it wont, I just know that I'll know where to get cute kitty tipis and scratching posts and dress ups (yeah I'll be THAT kind of cat owner) , well you get the point. This is part 1 of many awesome fun cat related posts. Do you have a weird talent for hunting down a specific items?